At 48 metres high, the château is France’s tallest castle, and its other dimensions are also pretty impressive: seven floors for a trifling 204 rooms. 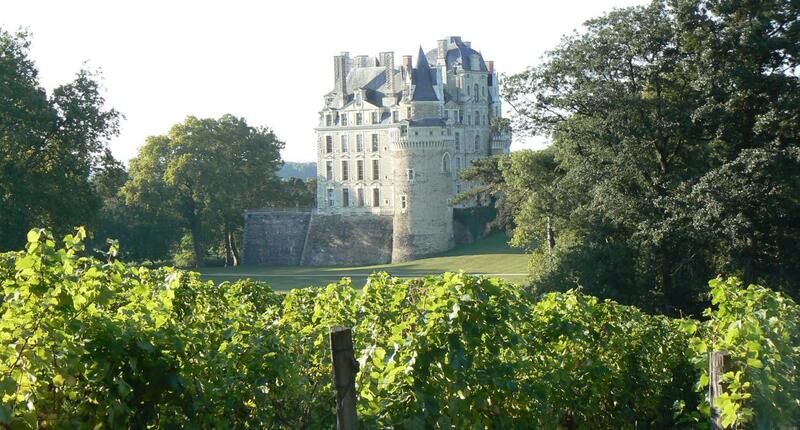 The “Giant of the Loire Valley”, the nickname by which Brissac is known, has belonged to the Cossé-Brissac family since 1502. The current owners, Charles-André and Larissa de Brissacmotto, have applied the family motto — Virtute Tempore (with courage and time) — to the letter when it comes to maintaining and renovating this colossus of a building. Because, if the outside of the château is awe-inspiring, the interior is equally imposing with its wealth of decoration, exceptional furniture and superb belle époque theatre. The tour of the castle always ends with a visit to the winery and cellars, with the estate making its own cuvées since the 16th century. There are twenty-six hectares of Cabernet producing a predominantly rosé AOC, quite typical of Anjou, with acidulated notes of cherry, raspberry and redcurrant. If you would like to extend this magical experience, some of the rooms in the château have been transformed into remarkable guest rooms, where you can enjoy a night fit for a king! Le Petit Manoir: In Saint-Melaine-sur-Aubance, 20 minutes south of Angers, this is a small and charming inn, where the chef has earned the title maître restaurateur. The food is traditional and regional, including entrecote with red butter, medallion of monkfish with cointreau, and the day’s catch. Two round-trip hiking trails start 100 metres from the restaurant. Loire & Sens: In Juigné-sur- Loire, 15 minutes from Angers, this spa hotel is housed in a former hunting lodge from the 17th century. It boasts 23 rooms and 12 comfortable and bright suites. All the accommodation has private terraces. The restaurant serves modern gourmet cuisine based on seafood and local products.